Finance Director Jonathan Haigh, retained the services ERA Legal to review the firm’s expenditure for Records Management. Peter Lee, ERA Legal’s Lead Consultant for Records Management was tasked with providing options to consolidate the fragmented storage & secure shredding arrangements inherited through merger and acquisition. 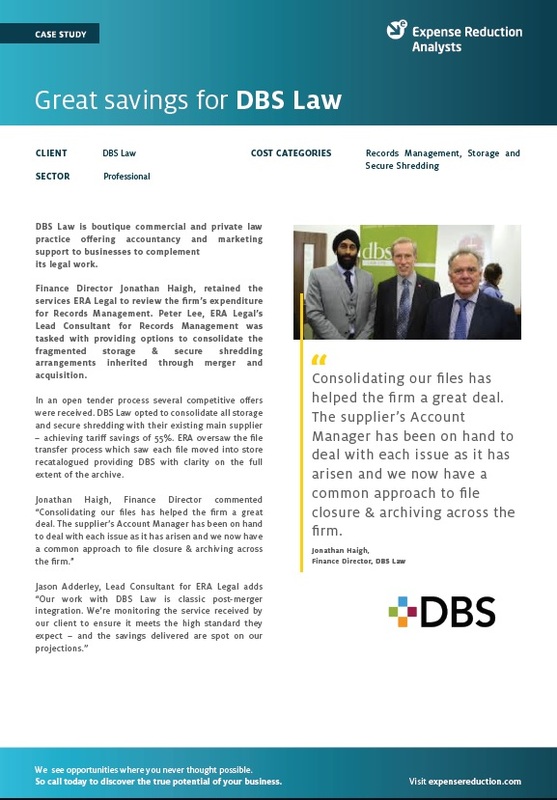 To find out more about how ERA helped DBS Law, including results, savings and more details from the client, download the full case study now.